We decided to stay another day here and drive the 249 miles to Fort Myers tomorrow. We will skip a day in the Big Cypress Swamp. 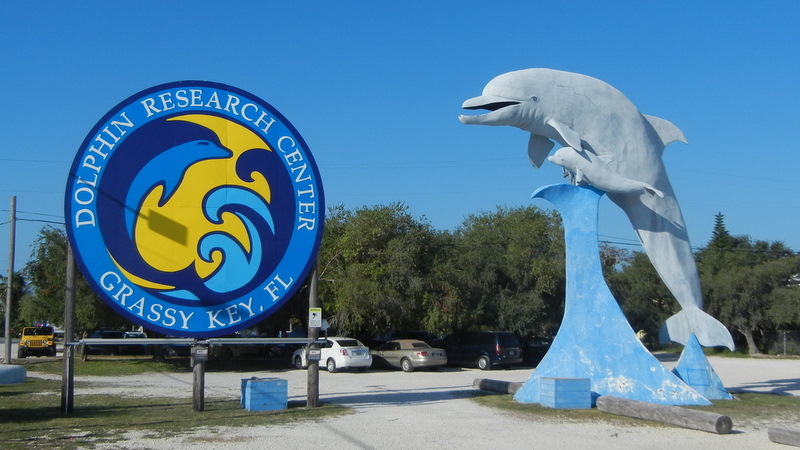 Ed took us a couple of miles east to us to the Dolphin Research Center. 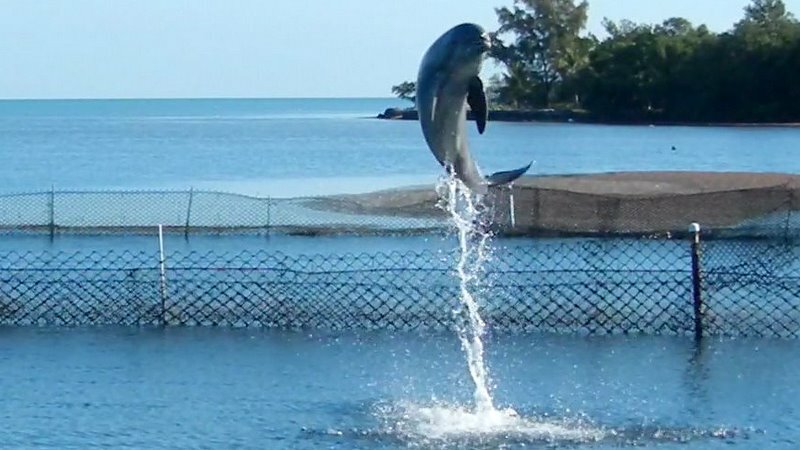 This is a non-profit started in the 50s that studies dolphins in large pens. There were two 4 month old baby dolphins being fed by their mothers. One dolphin was having water poured into its stomach via a funnel and tube. It seems that dolphins normally get all the fresh water they need from the fish they eat. However, some need extra water to be properly hydrated. Just like people they can't drink salt water. The staff was very knowledgeable and explained everything while the dolphins were being fed and exercised. 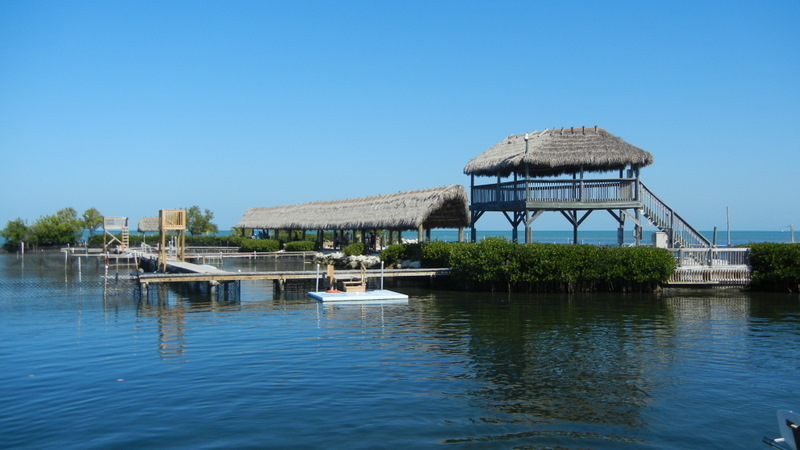 This center is well worth a visit by anyone travelling the keys. There are all kinds of activities including dolphin encounters in the water. 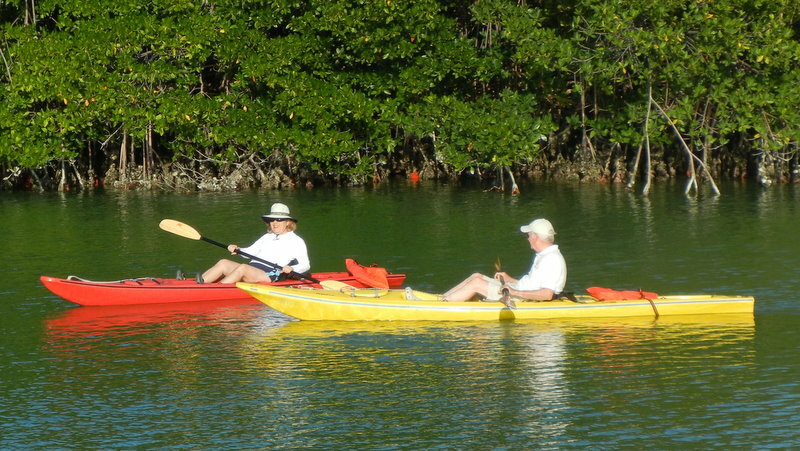 In the afternoon Daisy and I went kayaking with two relatives of hers from Spain that arrived this morning. The tide was very low so it was a challenge to get in and out of the kayak but I survived without a dunking.